Horace Henry Baxter first came to Rutland in 1854. Already a successful industrialist, he made an immediate impact on social, political and business life in the town. During the Civil War, H. H. Baxter was a consistent supporter of the Vermont and Rutland troops, both financially and via his own time and efforts. He provided funding for uniforms and supplies for the troops, and paid for bounties for new enlistees. He served as the Vermont delegate to the Peace Commission in Washington, D. C. (1861), and served as the Adjutant and Inspector General of Vermont from 1859 - 1861. 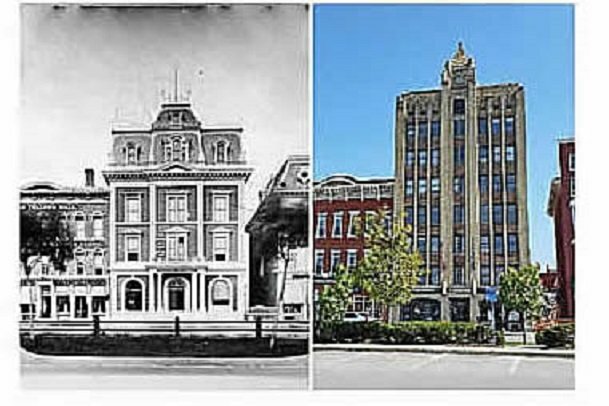 Baxter founded the Baxter Bank, and erected the first Baxter Bank headquarters building (1871). The present-day structure is the result of a massive renovation which took place in 1928-1930. Although this was almost a complete rebuild, parts of the original building remain in the structure today. Learn more about H. H. Baxter at the Fairgrounds stop, or in our Quarterly.